Although the name ‘Rockies’ is widely recognised as a brand leader, we are happy to pass on this expertise and quality into making a product specifically for you. This could be your own specific analysis to meet and counter local mineral deficiencies or packed in your own ‘house brand’ designed cartons so as to enhance your existing product portfolio. Licks are available in 10kg, 5kg and 2 kg sizes with a variety of package options ranging from naked to full colour printed cartons (in your own language) plus shrink wrapping and carry strap. Tithebarn has a compelling offer for partners with their own strong brand identity. It will supply any or all Rockies products fully packaged during manufacture in the partner’s own branding and to the partner’s own marketing specifications. Rockies then become to all appearances the partner’s own products. 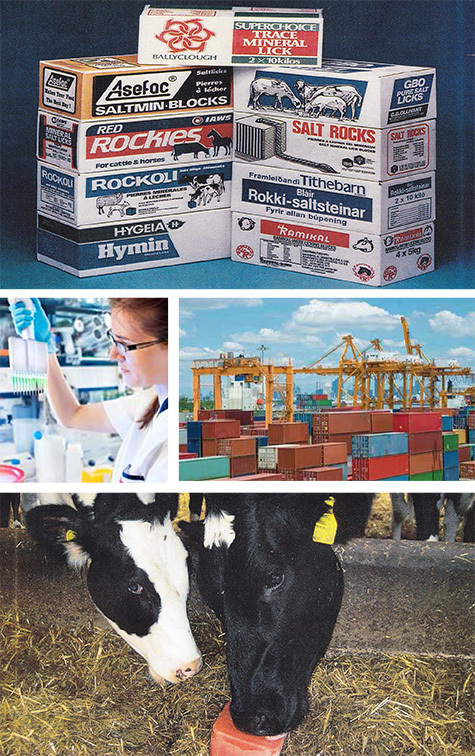 Tithebarn’s expertise can also be put to good use in creating new formulations specified by the partner. This can be done to suit local conditions or traditions, in situations where there is no exact match with an existing Rockies formulation. Whatever branding Rockies carry, Tithebarn expertise is always available to support the partner’s service to customers. Tithebarn’s own success has been built on quality service, and so it is only natural to encourage similar high standards of service throughout the partner network.